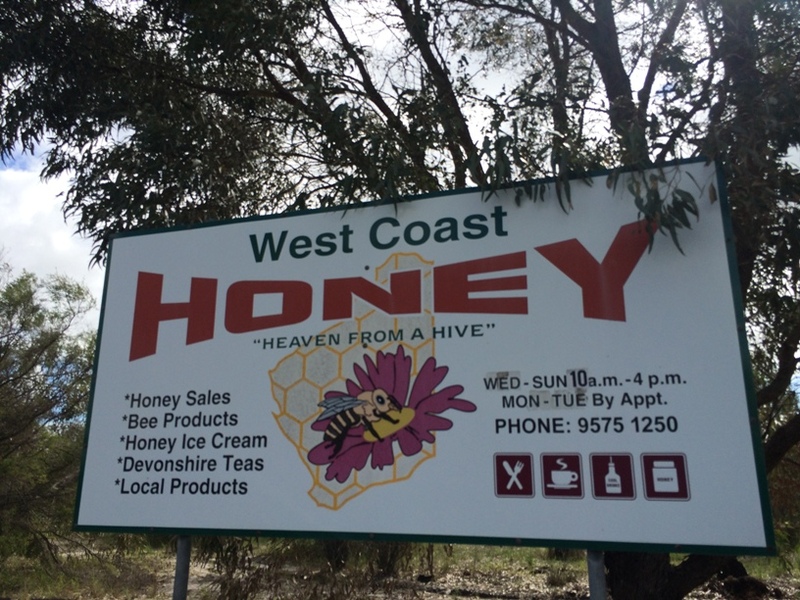 A Kids Day Out in Gingin features a fun learning experience at the Gravity Discovery Centre, a game of mini golf at Caladenia Mini Golf & Le Shed Mini Golf, a visit to the Gingin Brook Water Wheel and the nearby CU @ Park Cafe and finishes off with a honey ice-cream from West Coast Honey. If you are only visiting for the day you may not be able to fit this all in, there is actually so much to do you may want to consider staying overnight. Gingin will surprise you as it did us, there is lots to do, especially if you drive there or back through Bindoon - which is highly recommended, the countryside between Gingin and Bindoon is breathtaking. We've included some accommodation and overnight activity ideas here too. 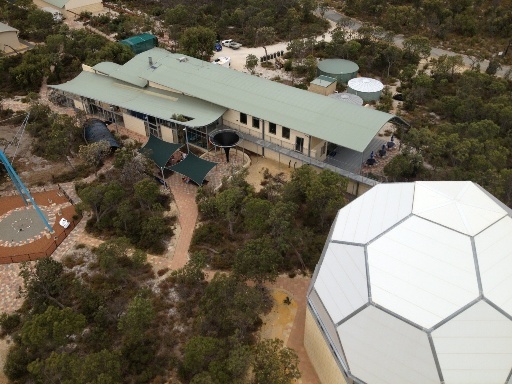 Located off Indian Ocean Drive just 15 mins from Yanchep is The Gravity Discovery Centre. Here the kids will enjoy some space & science fun & educational activities, including a climb to the top of the Leaning Tower of Gingin to drop water balloons from the top. You may also want to consider staying the night, you can enjoy family star gazing experiences at the Gingin Observatory located here also. Read the Kids Around Perth Review here. Before heading towards the Brand Hwy towards the main Gingin Town you may want to try and fit in a game of golf. It may be tricky to fit both the Caladenia Mini Golf and The Gravity Discovery Centre in one day, but if you intend to stay the night it would be perfect to visit Caladenia Mini Golf one day, and The Gravity Discovery Centre on the other. It's open daily and there is a lovely cafe here so you can have brunch, lunch or a coffee - a really nice place to take the grandparents too. 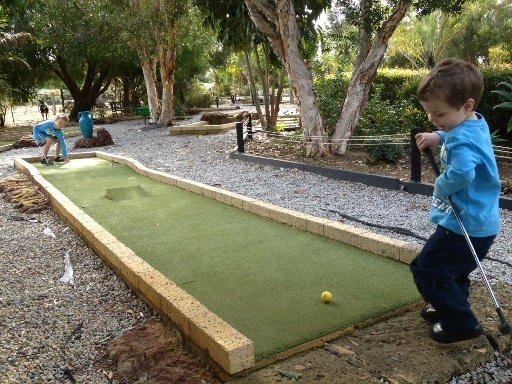 Read the Kids Around Perth Caladenia Mini Golf Review here. 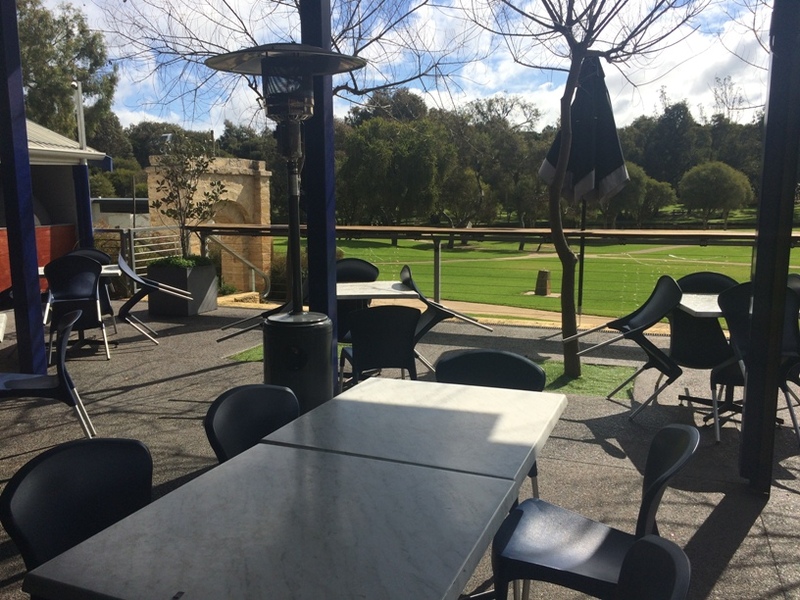 Cu At Park is a beautiful cafe & restaurant that is open daily and overlooks the stunning Granville Park, which is also home to the replica Gingin Brook Water Wheel. 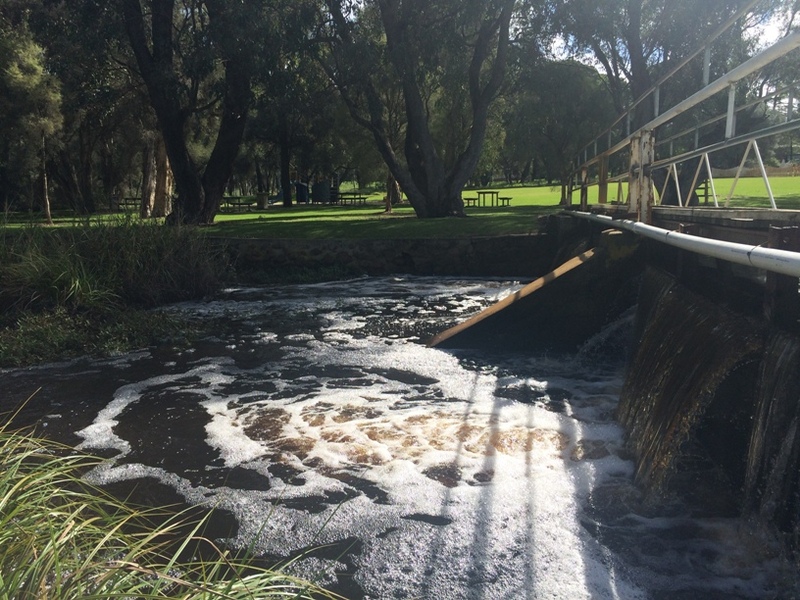 You can't visit Gingin without a visit to Cu At Park followed by a walk through Granville Park. Read the Kids Around Perth Cu At Park Review here. As you can see there is lots more to do in Gingin than you might expect. How cool would it be to stay the night, book the family in for a Stargazing Tour at the Gingin Observatory and see and do it all while you are in Gingin?! Here are some places that have some great reviews from families who have stayed there. Orchard Glory Farm Resort Gingin - includes leisurely strolls around the resort with scenic waterfall, fruit picking, animal petting and feeding and lakeside BBQ (we drove past this one at it had a playground at the front too). Bindoon's Windmill Aussie BBQ & Farm Stay - a little drive out of Gingin (approx 20-25min drive) but another nice place to stay with farm chalet accommodation and lots of farm pets to meet.